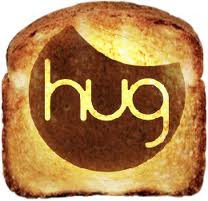 Thanks to all hip + urban girls (guys) who "got toasted" with us during the months of April to June! The results are in and we're ecstatic to announce that the national MSN Breakfast campaign exceeded their goal by over 20,000 and donated a total of 120,000 breakfasts to kids in the Boys and Girls Club of Canada. Every morning as I boot up my laptop to the MSN Canada homepage I am reminded to grab breakfast myself... and of course, I can't help but hear my mother's distant voice lecturing the 10 year old me on the importance of starting the day with good ol' nutritious "brain food". Mildred's Temple Kitchen boasts an inventive menu in a modern loft setting in Liberty Village. The Gabardine serves up fine grub and libations to the busy Bay Street crowd. BLD Restaurant is located in the St. Lawrence Market neighbourhood so you know their ingredients are always local and fresh. The Drake Hotel has a menu that never disappoints and a sweet patio for hipster-watching in West Queen West. Le Petit Dejeuner is located in King East and has an extensive menu of comfort food plus sparkly green seats.